The Soul Shop was designed to accurately capture the sound of great music being made in a great room. More specifically, our thousand-square foot, custom-built live room. Nothing sounds like a great acoustic space. You can track the whole band at once, or just savor the drum sound of your dreams. 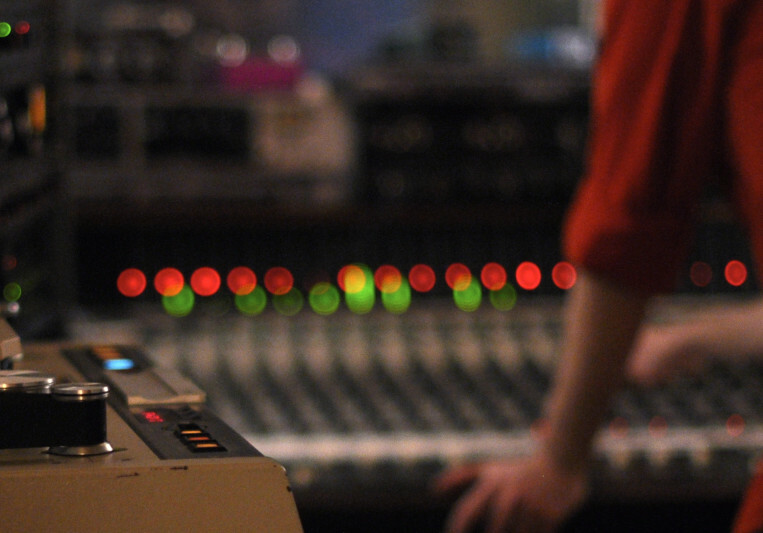 Our console is a Neotek Series II, and our tape machines include models from Otari & Tascam. We offer a collection of over a dozen vintage & modern instrument amplifiers, from Ampeg, Aguilar, Fender, Gretsch/Valco, Magnatone, Orange, Traynor, & more. Keyboards include a fully restored 1926 Steinway M grand piano, and a 1964 Hammond A-100 organ with a Leslie 147. Additionally, there are our impeccably-maintained vintage Fender Rhodes (1975 Suitcase) & Wurlitzer (1962 720A) electric pianos, as well as a Jenco vibraphone. Microphones from AKG, Altec, beyerdynamic, Coles, Electro-Voice, Lawson, Royer, Sennheiser, Shure, & more. Outboard gear from Ampex, API, Burl, dbx, John Hardy, Kush Audio, Lexicon, Manley, UREI, & more. All-analog in three different tape formats, we are the most affordable classic recording environment in the Boston area. Get in touch for pricing & options. Jazz musicians - we are experienced with and enthusiastic about live-to-two-track sessions! Elio DeLuca and The Soul Shop make records the way records should be made. It's more than capturing a moment, more than crafting a sound, it's an approach to bring the best out of each musician individually and capture the true spirit of the song. Best in Boston.